Six western adventurers compete against tribal champions in remote areas of the globe. The lads are in a very rainy Brazil to race canoes against the Wauja tribe. Series in which six athletic adventurers from the west compete for glory against tribal champions in remote corners of the globe, with the ultimate aim of being crowned the last man standing. 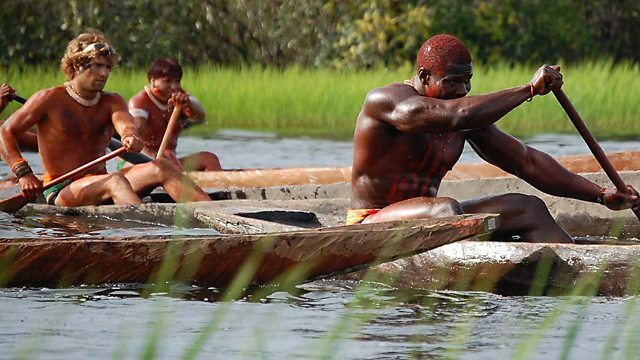 The lads are in central Brazil at the height of the rainy season to race canoes against the Wauja tribe. However, they have more than just a fast-flowing river to contend with, as they face the ever-present piranhas, a bloody initiation ceremony and the wrath of some very angry village women.